In Northeast Ohio, the leaves are changing color and snow is around the corner. But at Schill, we’re thinking about spring. Though it may seem a little early to already be hatching a plan for after the ground thaws, now is prime time for preparing your commercial landscape to weather the cold winter and emerge healthy and lush in the spring. The work we do now in the landscape fortifies your property so it will survive even the harshest winter. Fall fertilization feeds the lawn so it repairs from summer stress before it must endure cold weather. Winterizing your property’s irrigation system preserves your technology investment and protects sprinklers until spring, when you’re ready to water again. 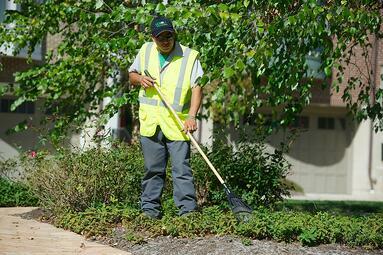 Fall is also a perfect time to press reset on your landscape and to revisit your maintenance agreement. Consider top priority planting projects for the coming year, and anticipate next year's maintenance needs before this year closes out. We also like to dedicate time in the fall with our commercial clients to conduct property walkthroughs so we can take stock of the landscape and set goals for the coming year. Committing to the maintenance contract now is helpful for budgeting. 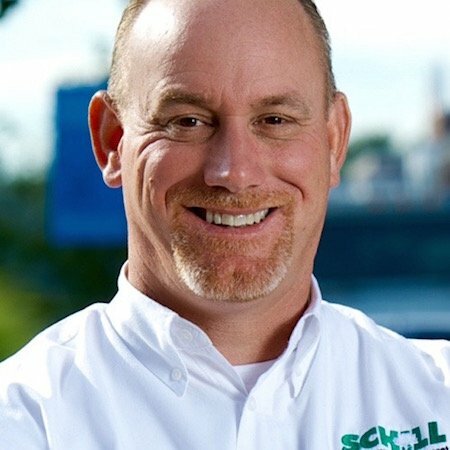 Spring is an incredibly busy time for landscapers—you want to secure your spot in the frenzy and ensure that you’ll get the dedicated service you need. Here are five ways to prepare for spring on your commercial property so you can make the most of your time and budget. Aeration loosens up compacted soil, which is a given in high-traffic areas and after mowing all summer. While lawn clippings are beneficial for the grass as an organic source of nutrients, after a good five months of mowing, lawns can develop thatch buildup. 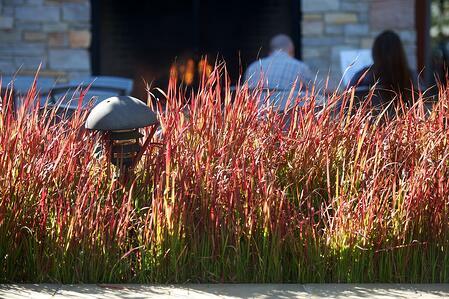 Thatch prevents air, water and nutrients from reaching grass’s roots. You’ve probably seen an aerated lawn: Dirt plugs are pulled from the property and allowed to decompose back into the grass. Removing plugs of grass/soil makes room for healthy new roots to develop. In short, aeration helps creates a better growing environment for grass. In Northeast Ohio, the ground frost level will extend deeper than the irrigation piping that is buried underground. If irrigation systems are not winterized, you could end up with burst pipes and a system that needs lots of repairs come spring. Protect your investment by winterizing your commercial property’s sprinkler system. Simply draining the water from the system is not enough. There is residual water that stays in the pipes until it professionally drained an irrigation technician who has expertise in caring for sprinkler systems. Late fall is the ideal time to fertilize because it restores the lawn’s color in fall (following a hot summer), promotes an earlier spring “green up” so your commercial property will come to life sooner and look more vibrant next year. Fall fertilization gives grass energy stores to survive the winter and thrive in the spring when it’s growing season again. Fertilization at this time also promotes root development. This is critical because what you see above the surface—the green grass—is a direct result of what’s going on underground. Fall fertilization in conjunction with aeration will open up compacted soil to make room for root growth, and give the grass the nutrients it needs to replenish and store energy for winter. Now is the time to begin thinking about spring planting because there is plenty of time to get organized from a budget and planning perspective. We like to conduct property walk-throughs with our commercial clients so we can identify plants that could need replacing in spring. We also like to note areas of the landscape that need sprucing up. We listen carefully and ask you about your goals for the property: Are there areas that you’d like to improve? Having these discussions now, in the fall, leaves ample time to create a workable, financially sound plan that can be executed seamlessly in the busy spring. As you think spring, why not consider adding fall color and décor now, which will last well through Thanksgiving and bridge your commercial property from summer to holiday. Changing plantings out on a seasonal basis keeps your property looking relevant, and it shows your care and attention to detail. People who live, work and play on the property will notice. Don’t wait until the final hour to discuss your property’s planting needs. Now is the ideal time to plan spring plantings into your budget, and to renew maintenance contracts for next year so you can ensure that your property will get the service and attention it deserves. 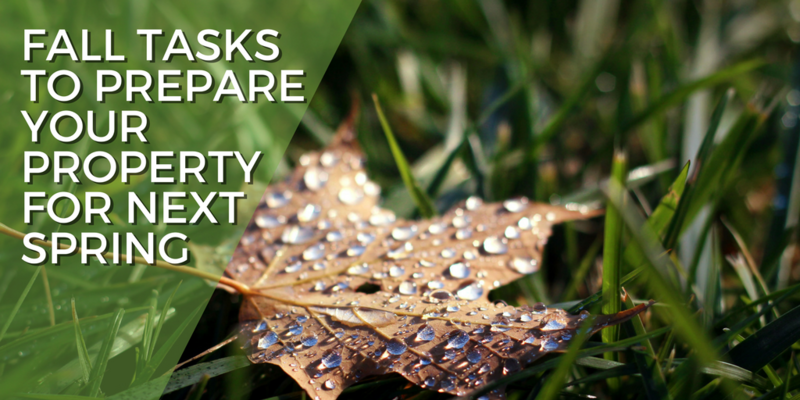 Let’s talk about some fall to-dos for your property that will set up your landscape for a successful spring. Call us any time at 440-327-3030, or fill out our online form to request a proposal, and we’ll get in touch with you.